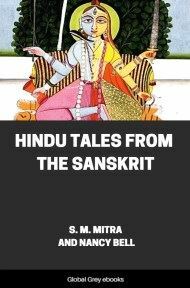 A collection of 9 Hindu tales for children. Each tale has a few questions at the end of it. The stories include: The Magic Pitcher: The Story of a Cat, a Mouse, a Lizard and an Owl; A Royal Thief-Catcher; The Magic Shoes and Staff; The Jewelled Arrow; The Beetle and the Silken Thread; A Crow and His Three Friends; A Clever Thief; and, The Hermit's Daughter. Long, long ago there lived far away in India a woodcutter called Subha Datta and his family, who were all very happy together. The father went every day to the forest near his home to get supplies of wood, which he sold to his neighbours, earning by that means quite enough to give his wife and children all that they needed. Sometimes he took his three boys with him, and now and then, as a special treat, his two little girls were allowed to trot along beside him. The boys longed to be allowed to chop wood for themselves, and their father told them that as soon as they were old enough he would give each of them a little axe of his own. The girls, he said, must be content with breaking off small twigs from the branches he cut down, for he did not wish them to chop their own fingers off. This will show you what a kind father he was, and you will be very sorry for him when you hear about his troubles. All went well with Subha Datta for a long time. Each of the boys had his own little axe at last, and each of the girls had a little pair of scissors to cut off twigs; and very proud they all were when they brought some wood home to their mother to use in the house. One day, however, their father told them they could none of them come with him, for he meant to go a very long way into the forest, to see if he could find better wood there than nearer home. Vainly the boys entreated him to take them with him. "Not to-day," he said, "you would be too tired to go all the way, and would lose yourselves coming back alone. You must help your mother to-day and play with your sisters." 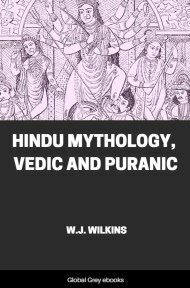 They had to be content, for although Hindu children are as fond of asking questions as English boys and girls, they are very obedient to their parents and do all they are told without making any fuss about it. Of course, they expected their father would come back the day he started for the depths of the forest, although they knew he would be late. What then was their surprise when darkness came and there was no sign of him! Again and again their mother went to the door to look for him, expecting every moment to see him coming along the beaten path which led to their door. Again and again she mistook the cry of some night-bird for his voice calling to her. She was obliged at last to go to bed with a heavy heart, fearing some wild beast had killed him and that she would never see him again. When Subha Datta started for the forest, he fully intended to come back the same evening; but as he was busy cutting down a tree, he suddenly had a feeling that he was no longer alone. He looked up, and there, quite close to him, in a little clearing where the trees had been cut down by some other woodcutter, he saw four beautiful young girls looking like fairies in their thin summer dresses and with their long hair flowing down their backs, dancing round and round, holding each other's hands. 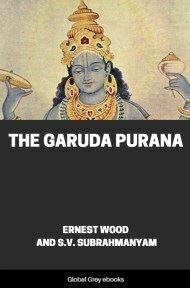 Subha Datta was so astonished at the sight that he let his axe fall, and the noise startled the dancers, who all four stood still and stared at him. The woodcutter could not say a word, but just gazed and gazed at them, till one of them said to him: "Who are you, and what are you doing in the very depths of the forest where we have never before seen a man?" "I am only a poor woodcutter," he replied, "come to get some wood to sell, so as to give my wife and children something to eat and some clothes to wear." "That is a very stupid thing to do," said one of the girls. "You can't get much money that way. If you will only stop with us we will have your wife and children looked after for you much better than you can do it yourself." 4. Do you think the fairies really meant that they could do as they offered? 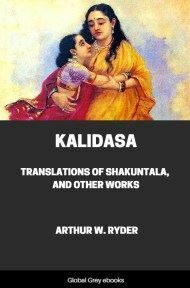 Subha Datta, though he certainly did love his wife and children, was so tempted at the idea of stopping in the forest with the beautiful girls that, after hesitating a little while, he said, "Yes, I will stop with you, if you are quite sure all will be well with my dear ones." "You need not be afraid about that," said another of the girls. "We are fairies, you see, and we can do all sorts of wonderful things. It isn't even necessary for us to go where your dear ones are. We shall just wish them everything they want, and they will get it. And the first thing to be done is to give you some food. You must work for us in return, of course." "Well, begin by sweeping away all the dead leaves from the clearing, and then we will all sit down and eat together." Subha Datta was very glad that what he was asked to do was so easy. He began by cutting a branch from a tree, and with it he swept the floor of what was to be the dining-room. Then he looked about for the food, but he could see nothing but a great big pitcher standing in the shade of a tree, the branches of which hung over the clearing. So he said to one of the fairies, "Will you show me where the food is, and exactly where you would like me to set it out?" At these questions all the fairies began to laugh, and the sound of their laughter was like the tinkling of a number of bells.